... especially when said company is attempting to initially provide cheaper data, voice, and instant messaging services to over 4 billion people. This company is planning to launch three nano-satellites (artificial satellites that weigh less than 10kg) into orbit; which will form an initial pilot telecommunications network, enabling telcos back on earth to buy inexpensive bandwidth that may once have been inaccessible. This isn’t an entirely altruistic endeavour – after two to three years and on completion of its first 100 nano-sat equatorial constellation, this company expects to generate annual revenues of $300-500 million. This $17M capped company is fully funded for first launch, following a recent $4.6 million capital raising, and the team is vastly experienced in this field; having previously launched Israel’s first nano-satellite, that is still operating now. 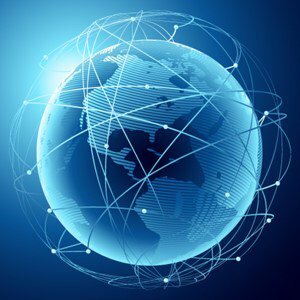 The business model has been validated, with recent news of a binding Letter of Intent by a leading Pan-African telco to purchase all available bandwidth from its initial nano-satellite platform. It already has a launch date for these three nano satellites (or three diamonds as they are known) for the second quarter of 2017 on a Polar Satellite Launch Vehicle (PLSV), and recently secured a contract with a leading ‘launch broker’. It’s initially targeting a market around the equator (latitudes 15 North to 15 South) which has been chronically underutilised by the telecommunications industry at large – and where there are billions without an internet connection. Better yet, this company’s satellites will be low-cost meaning it can outmanoeuvre and lowball traditional telecommunications companies quicker than you can say ‘bidding war’. This company is aiming to disrupt the current satellite phone market and beat the likes of high cost, existing players Globalstar and Iridium to market in a potential $20 billion industry. This is still an early-stage tech play though, so be wary of putting all your eggs in this basket and apply caution to your investment decision. In this piece we’re going to take you through how the company arrived at this moment of its story, take a look at some of the players in the game and tell you why this ASX stock may just be able to sneak into the market under the noses of several tech and telco giants. Here’s the play: unloved ASX shell Burleson Energy recently switched focus to the high-flying (or orbiting) world of nano-satellites through a reverse takeover of UK-based Sky and Space Global (ASX:SAS). The acquisition was completed on 13 May 2016 in accordance with shareholder approval obtained on 1 April. AU$15.6M is scrip consideration (780 million post consolidation ordinary shares and 300 million post consolidation performance shares). The first will see 100 million shares allocated on execution of launch contract within 18 months. The second tranche sees another 100 million shares on full validation and confirmation of launch ready nano-satellite. Finally, the third tranche of 100 million will be delivered on the successful launch, testing and delivery of communication of 2 nano-sats. To seal the deal the company raised $4.6MN at a pre-consolidation share price of 0.4c (2.0 cents per share post consolidation), which was in excess of the minimum raising amount required to complete the acquisition – this funding is expected to take the company up to the launch of SAS’s initial “3 diamonds” pilot network. SAS is UK based but has an Israeli brains trust, which is already well-versed in the creation of satellites for low-orbit. The key differentiator between what SAS will be doing and what you see major telecommunications companies doing is scale. While major telecommunications companies will have gargantuan satellites circling the earth to beam data (voice, video, internet) back to receiver on earth (either towers or dishes), SAS is aiming to release three small satellites into low orbit in 2017 for the relatively small cost of US$3 million. 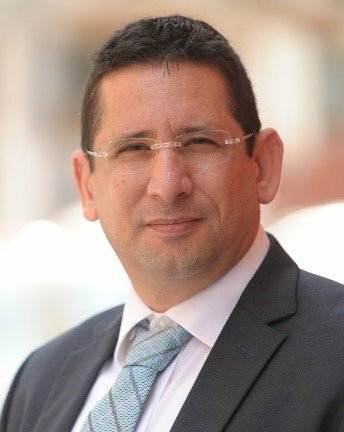 As we indicated above, it’s important to note that SAS’s team designed, built, launched and ran Israel’s first nano-satellite launched 19 June 2014, which is still operational– so this experience will hold the company in good stead. To assist the company in achieving its goal, SAS already has the contracts drawn up for construction of the 3 nano-satellites. Furthermore, it has secured a key contract with leading European launch broker Innovation Space Logistics BV (ISL) for its second quarter 2017 launch. The launch contract secures a launch reservation and associated services for SAS’s three ‘diamonds’ (also called Red, Green and Blue or RGB) that will form a pilot constellation and initial communications network. While the IP sits very much within the SAS stable, it isn’t going to build the satellites but instead has tapped Danish outfit GomSpace to do the grunt work (a company which will soon IPO on the Nasdaq First North Stockholm market). 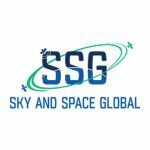 SAS’s small satellites will be geared towards providing a voice, messaging, and data telecommunications platform. Commercially, SAS investors would be heartened by the announcement that SAS signed their first binding LOI with an African telecommunications company , Sat Space Africa (SSA), for the company’s first bandwidth ‘offtake’ agreement. This is expected to be the first of many to come over the next 12 months as SAS moves towards completion of its pilot phase and validates SAS’s business model. On completion of its first 100 nano-sat equatorial constellation in 2-3 years, SAS is expecting to generate annual revenues of $300-500 million. This is a speculative number at this stage and caution should be applied to any investment decision. 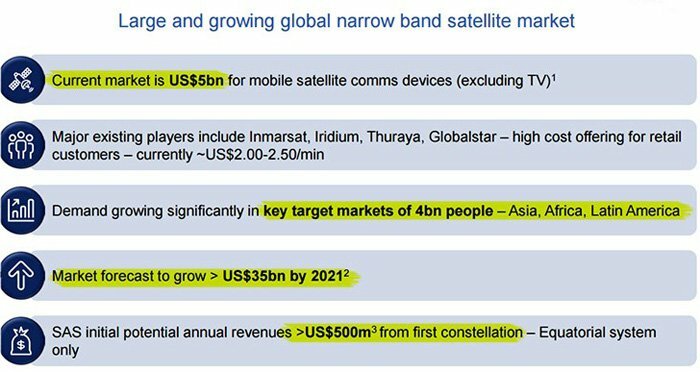 SAS’s costs are absolutely nowhere near what the big satellites can cost telcos, or rather the companies they buy bandwidth from, and this is where the unique opportunity lies. What SAS is aiming to do is launch these nano-satellites into low orbit, right under the noses of the big boys. This will be at about 1/20 th of the capex spend for the same platform and service – US$100m v US$2000m (or $2 billion). While SAS certainly won’t have scale initially, it is hoping to carve out its own market niche – which we will go into below. The great thing about being in low orbit is that it takes less time for the request from the earth-bound device to reach the satellite, and the requested data to reach back to earth. So while the bigger players will have broader reach, SAS will have a tighter, more focused reach. The plan here is to build a small network at first, and then auction out the bandwidth to telecommunications companies in the area. The great thing about what SAS is offering is that it will only cost around $3 million to get its satellites to demonstrate full technical capacity – thereby having a lower payback than if they had constructed a big Kahuna for $500 million. It is thus able to offer a really great deal to telecommunications companies who want to compete in the region – and therefore a cheaper end rate to consumers. Which region is SAS targeting? One that is oft-neglected, unfortunately. It’s the area shown above, within 15 degrees either side of the equator that SAS is targeting. These are areas with some of the poorest telecommunications and data coverage in the world as the big boys simply go after what will make them the fattest dollar – namely cashed-up western countries. 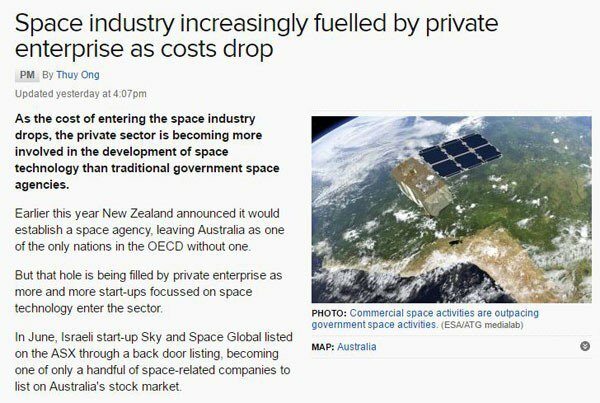 To be fair though, their satellites cost a lot more money so they need a lot more payback. SAS, however, isn’t pursuing this region entirely out of altruism, but instead because in a lot of ways it’s actually the easiest region to cover. There are two types of satellites – those which are considered geostationary, and those which simply follow their own orbiting pattern. The geostationary satellites sit above the equator at an altitude of 36000 km where the orbit velocity matches the earth’s rotation completely, therefore appearing completely still from earth. It’s convenient, therefore spots in the geostationary orbit area are debated all the time, and plenty of operators are left out. All the others simply launch their satellites into Low Earth Orbits (LEO) so astrodynamics and orbital forces take care of the movement of them. Therefore they’re not orbiting at exactly the same speed as the earth is rotating, and circle the Earth at about every 90 minutes. Thus satellites aren’t actually covering the same patch of the earth all the time, with multiple satellites needed to ensure 24/7 coverage. Due to the physics of satellite orbits, equatorial satellites re-hit the same spot every 90 minutes while those doing pole-to-pole coverage take 24 hours to hit the same spots. The further you get away from the equator, the more satellites you need to ensure 24/7 coverage. By picking an equatorial region to start with, SAS will ultimately lessen the number of satellites it will need to provide a stable service. Therefore it can get to profitability more quickly. So why hasn’t this been done before? If it’s so easy to hit equatorial regions – then why isn’t this region serviced better? Again, it comes down to economics and the fact that companies will have a lot more customers for their bandwidth in regions such as Europe and the US rather than Equatorial Guinea and Indonesia. Subsequently, they haven’t serviced this area. But the nano-satellite platforms that SAS is using completely change the game . It’s allowing companies like Google, Facebook and others to investigate whether or not a network of satellites at low orbit would be profitable. More on them later, but first let’s find out how SAS is aiming to get the jump on them. With a lot of speculative tech plays (and this is one of those, no doubt) – companies ask shareholders to essentially fund plays which are still at the conceptual stage. Often a proof-of-concept hasn’t even been done yet, so you’re essentially being asked to put in for an idea. Unless you have money you can literally afford to toss away, you’d probably want to invest in something more than just an idea and hope. Luckily, SAS has done a lot of groundwork in the space to get to this point. In fact, the team at SAS has already put a nano-satellite into space. The above object may not look like a lot, but it could end up having a major impact for the aerospace industry. In fact, it’s Israel’s first nano-satellite launched, and the core team at SAS were a part of it. Dubbed the “Duchifat-1” back in 2014, SAS founders Meidad Pariente and Maya Glickman were behind the design, assembly, testing and launch and were in constant communication with the satellite since its launch on June 19 th 2014. This means that the satellite simply didn’t conk out while in low orbit, which can be an issue. In the background, the SAS team has been in constant talks with potential bandwidth customers in the region, while undertaking the careful risk analysis and technical work on the next generation of satellites. So the team has the contacts in the markets, and the first signs of this coming off in a material way recently appeared. 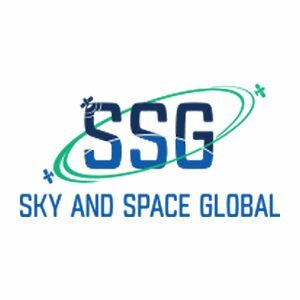 While it recently told the market about its construction contract with GomSpace, we noticed a line which bears some attention. “A number of large corporate customers have expressed an interest in securing bandwidth from SAS’s first Nano-sat constellation with potential material revenue benefits for the company,” it said. This means that while the satellites haven’t even been built and the launch of the initial three are still more than a year away – the customers are lining up. Number one, there’s not enough bandwidth to go around at the moment with customers looking to lock in deals at a very early stage. Number two, the SAS team has laid a lot of groundwork here. There has been constant communication between the company and the market. We’ve seen too many companies go out with an ambitious plan and glitzy numbers about the size of the market opportunity – only to forget to actually talk to customers about what they need. Taking this customer-led approach to development, SAS has its fingers well and truly on the pulse – instead of being a company which only has a faint idea where the pulse is. So, who are the main players here? One of the more vital ingredients of a tech play is the talent behind the ideas. They need to be a mix of technical, sales, and marketing to get their ideas off the ground. The CEO and founder has a really interesting backstory, including experience as a jet fighter pilot with the IAF (Israeli Air Force). He’s also well-versed in pulling manoeuvres in the corporate world though his 20 years of experience in management and is actually one of the few CEOs we’ve come across who’s actually managed a space project and worked with astronauts. He led the MEDIEX experiment on the Space Shuttle Colombia and was the project manager for the first Israeli astronaut flight and led many of Israel’s bigger satellite developments including the Ofeq and Teschar projects. As well as being CEO of SAS, he’s also CEO of MultiModis, a consulting company for the aerospace market and industry. It’s literally his job to be in touch with the industry and the market – you join the dots. Pariente, the CTO is also a founder of SAS has more than two decades of satellite experience. He started out as a satellite operator and later became a deputy manager for the AMOS-2 satellite (an Israeli commercial communication satellite), then chief systems engineer for AMOS-3, and then a special engineering advisor for AMOS-5. So, early in his career he basically got a taste along the whole technical chain – which would come in useful as the chief systems engineer on the VENUS project, an Israel-France joint venture. In 2014 he, along with Maya Glickman, oversaw the development of the Duchifat-1 project – the first Israeli nanosatellite. Again, this satellite is still up there somewhere. Glickman has more than 16 years of hands-on experience in the satellite game and was an integral part of the Duchifat-1 project. She’s been brought in as SAS’s satellite mission analyst, orbit designer, and operating expert. Glickman was previously the senior satellite engineer of communications satellites with Israel Aerospace Industries. She was also part of the AMOS-3 development team, LEOP and IOT missions as well as the AMOS-1 “hand-over” to Intelsat and led the end-of-life mission team. Clearly this is an experienced team with invaluable knowledge around the satellite market. It is a team that knows what it is doing and how to make the most of its resources and this could play out well for shareholders in the long term. The market – why is SAS getting into satellites? How will SAS make money over the long term? First of all, you need to look at the scope of the potential market opportunity. On a global scale, the entire satellite communications revenue comes in at about $US122.9 billion ($A164.8 billion) at the end of 2014, according to a report commissioned by the Satellite Industry Association. If the satellite industry were a country, it would have a larger GDP than Morocco, the 61 st most wealthy nation on earth by nominal GDP according to the International Monetary Fund’s figures in the same year. As you can see, a huge chunk of the overall revenue picture is about consumer services, and breaking it down further, it’s about satellite TV. As you can see, in 2014 the TV segment was responsible for $95 billion out of the $122.9 billion – but SAS aren’t going after this. Instead, they’re staking their claim in the voice, messaging, and data segments. If you take that to mean the mobile segment, that can be $3.3 billion, add fixed services onto that and it becomes $20.4 billion, add satellite broadband onto that it becomes $22.2 billion . However, we must caution that the addressable market for SAS is much more likely to be below this given it’s pitching as a low cost network provider in equatorial regions. Remember, the play here is to get three satellites up initially and then more over time to provide a low-cost bandwidth option for telecommunications players to plug into. But regardless of the way you want to slice the figures – there’s no doubting that low-cost low-orbit satellites will become big business into the future. There’s no better indication of that than the fact that the likes of Google, Facebook, and Tesla have either considered or actively pursuing a similar opportunity. What are the big fish doing? You may have heard or seen ads generated from the PR departments of Facebook and Google about how they’re trying to solve the world’s problems by launching satellites to enable better internet connections – but their aims are less altruistic and more about tapping an unclaimed market. The reason the tech titans are trying to get people connected to the Internet is so they can connect to their services, whether Facebook or Google – with both then able to hit them with advertising. In short, it’s an untapped market and the giants are sick and tired of waiting around for telecommunications companies to get on with it. And there’s also plans to launch balloons, and geostationary satellites of their own. Here’s a quick rundown of where everybody else is at in the great space race. In under five years, satellite start-up Planet Labs has created a new way to deliver satellite imagery. It deployed tiny satellites to circle the planet in low orbit to photograph earth’s surface. The company has raised a total of $192 million and is said to be in a good position to make it back with some strong investors support and a well leveraged client base that spans several industries. 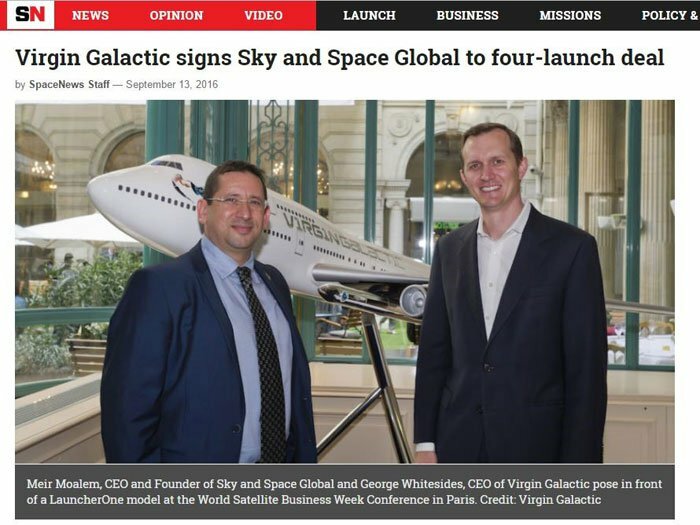 OneWeb is a company backed by Sir Richard Branson , which is aiming to manufacture 784 mini satellites, with the current cost of the project currently estimated to be about $1.5 to $2 billion for wideband, fast internet services. At this stage, the satellites could be operating by 2019. You may have heard about SpaceX, one of Elon Musk’s projects. The company already services the International Space Station and is testing new rockets all the time, but it also has plans to launch 4000 low-cost satellites into space. Not too much is known about the overall cost of the project, but Google and Fidelity have tipped in $1 billion in the past. 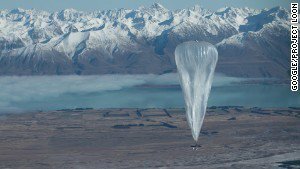 Google is going ahead with the wonderfully named Project Loon. Instead of small satellites (or at least the ones you’re thinking of), it’s planning on sending up balloons. Again, few details are absolutely certain but it is planned that each balloon would operate for about 100 days at a time before coming back down to earth and being replaced. At this stage it looks like the project has stalled somewhat, but it’s not clear at this stage whether there are plans to revive it. Interestingly, Google also paid Skybox Imaging (now Terra Bella) in 2014 for a princely $500 million for their technology. While it was thought that this could be a telecommunications play, the recent pivot of Skybox to Terra Bella signals that it’s more about imaging than voice or internet access. The satellites record high-definition videos of Earth from low orbit. After scrapping more ambitious plans for a static satellite network, Facebook is pouring its time into an unmanned airplane called the Aquila. It’s being designed to fly for three months at about 60,000 feet and will use lasers to deliver Internet within a 50 mile radius on the ground. Unlike satellites (which are in non-sovereign space) Facebook will need to get air-space approval from each state. Facebook isn’t saying how much this is costing them, but assume it’s costing them an arm, a leg, and possibly one more appendage. SAS expects to be in the same position as its peers within 12 months, and given the experience of its team, the technology they are working with and the low cost business model it could very well meet its expectations. These are grand ambitions and may not come to fruition in this time frame, so seek professional advice when considering SAS for your portfolio. What does this all mean for SAS, though? All of the above projects demonstrate that there is a market opportunity there, and the biggest tech companies in the world are throwing themselves at it hand over fist. It’s pretty unclear when these projects will actually be up and running. With SAS though, it’s planning on having its project, at least in the pilot phase, up and running in the back half of next year. So, it could end up actually making it to market before any of these players – which is staggering to think about. Here’s an $18M capped ASX listed tech company with a technical team from Israel taking on the tech titans and attempting to scoop their market. We’re not for a second suggesting they’re going to capture the whole market, in fact, the majors will probably end up dominating it. But, what SAS can do is carve out its own little niche... or attract the attention of one of those much bigger tech companies or telcos. If SAS can demonstrate that it can build a small scale network with three of its satellites, then a major looking at massive R&D costs to scale up may just look at SAS and think that a takeover may be much simpler than trying to get their own ventures off the ground. The tech titans make these kinds of acquisitions all the time. In any case, SAS will have a first-mover advantage in the space – and that’s almost always a good time. This is an ambitious play, make no mistake. 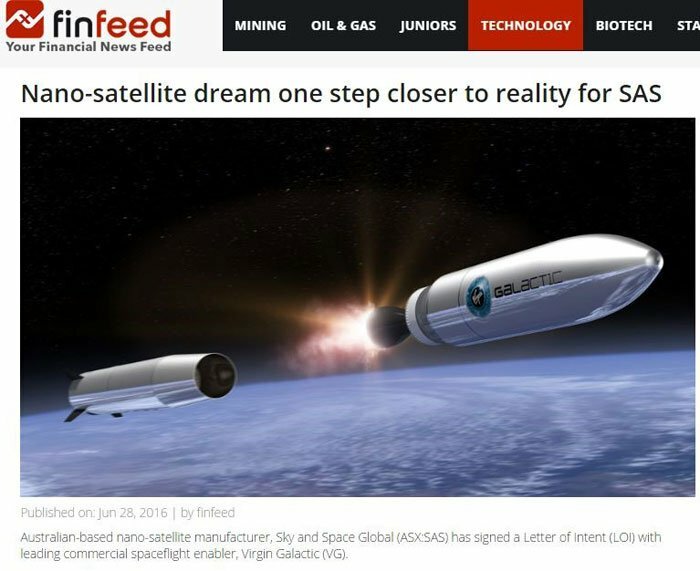 However, unlike a lot of other would-be tech plays, SAS is a company which already has the IP in the bag and is now scaling up to a fully funded pilot satellite launch. It’s literally already put in an order for the satellites and has a guaranteed customer (more probably on the way) with a secured launch opportunity. Companies such as SpaceX, Google, and Facebook are all spending billions on chasing this crazy dream. SAS is initially spending a grand total of $3 million. Where once Google and Facebook may have been considered buzz-worthy challenger brands, SAS has taken their place with a play which can only be described as brazen. It’s literally attempting to take space from under the giants’ noses, gaining a first mover advantage into a market which has never been tapped before. If nothing else, this play has moxie. It also represents perhaps the only opportunity for ASX investors to get in on the next space race – with SAS ready for take off.